Vanessa is a freelance registered dietitian and nutrition consultant with a masters degree in food policy. 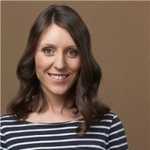 In 2012 she founded Thrive Nutrition Experts a Melbourne-based nutrition...Read moreVanessa is a freelance registered dietitian and nutrition consultant with a masters degree in food policy. In 2012 she founded Thrive Nutrition Experts a Melbourne-based nutrition consultancy and works with companies across the world. She has extensive experience of working with leading food and drink brands including Asda, Innocent Drinks and Little Dish. Very professional and reliable. I strongly recommend her services.